Lots has changed in the Real Estate camp since 2014’s LP, Atlas, both personally and professionally. 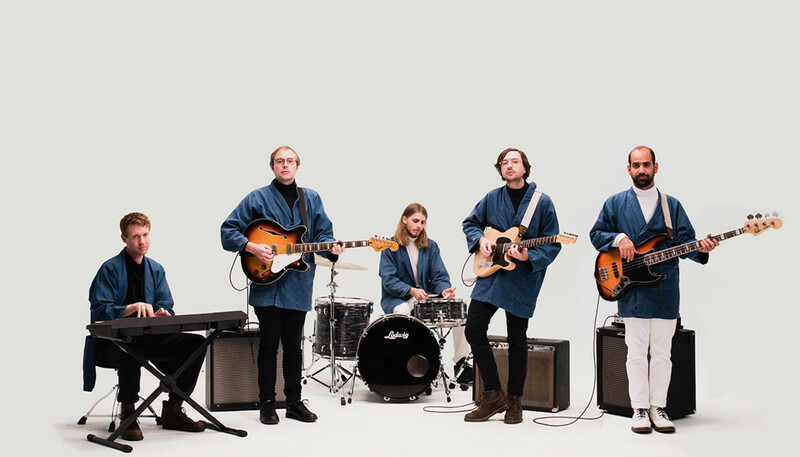 Here lead singer Martin Courtney discusses how line-up shake-ups, learning to let go creatively and balancing family responsibilities with life in a band have helped shape their fourth album, In Mind. Hey Martin, you’re two nights into the US tour, right? How’s it going? That sounds a pretty stressful reintroduction to touring. Yeah. We were actually gonna have a long rehearsal in Alabama, but because everybody’s flights were delayed we barely got a soundcheck at all. But it’s cool, we’ve been having good shows and the new material has been well received. The older songs are lodged in the brain at this point, whereas the new songs still feel new, which is good fun and keeps you on your toes. Songwriting is almost a therapeutic thing; a way for me to process details of my life. What’s been going on with you personally and professionally since Atlas? Well, two months after our last record came out my wife gave birth to our first kid, so that was a big deal. And then we did a lot of touring, plus people had other records come out with different projects. I did a solo record, Alex [Bleeker], our bass player, did an album with his other band The Freaks and then I had another kid. I moved out of New York City, to upstate New York. I moved twice, actually, between the last record coming out and this one. And then there were personnel changes in that we got a new guitar player. So yeah, it was a big couple of years. That’s why this new record feels very new to me, and very different and fresh in a very good way. As you mentioned, you parted ways with your guitarist Matt Mondanile post-Atlas. Was it an amicable split? I mean, it was definitely a decision on our part; we weren’t really working well together for a number of different reasons so we did ask that he not be part of the next record. There were a lot of reasons. Was the future of Real Estate ever in danger? No, not really. 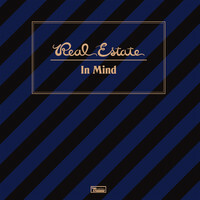 I had already been writing all of the songs, with the intention of them being for the next Real Estate record. And in Matt’s place you took on touring members Julian Lynch and Matt Kallman full-time, right? Well, Matt Kallman [keyboardist] played on Atlas, but this is the first album that he was a part of the whole writing process from the beginning. So his parts are a little more integrated into the songs, and I think being part of the process from the very beginning he was just melodically integral to all the songs, as was Julian. It’s funny: we’ve just been off the radar for a while in terms of the public view, but we’ve been doing a lot behind the scenes in terms of writing and recording and putting the album together, so it definitely feels like a settled line-up. Has the shake-up to the line-up renewed your sense of creativity? Yeah, definitely. We took a decent-sized break [from Real Estate], so it was exciting to be back in the same room as everybody in the band. And like I said, we were doing other projects, so all of that contributes to the feeling of excitement when we got back together, and then the best part of being in a band is the writing and recording. That’s my favorite part of all the process, anyway. For the benefit of anyone who hasn’t heard In Mind yet, what can they expect? If you’re familiar with our previous material it’s not a massive departure, but to me it feels like it is. There’s a little more synth… And I think going into making the record we were talking a lot about just having the process be a little looser, and being a little more open to using the studio as a tool, in terms of adding different effects that maybe we wouldn’t be able to achieve live. We were talking a lot about our first album. It’s this outlier in our catalogue – at least in my mind it is – because we recorded it ourselves on four-tracks and eight-tracks and cassette, so it’s definitely the weirdest album of ours and the most elusive in terms of song structure. I think after that record I personally got really into trying to write these very classically-structured songs, trying to perfect that, and I think that this record is pretty much a live document of what we’d been working on in our rehearsal space for the month before we went into the studio. It’s a little bit looser and there are extended intros and outros... At this point, I’m always going to be predisposed to liking the most recent thing that we’ve done, so I’m really excited about this record: it just feels a little weirder than the stuff we were working on before. I’m proud of all the records, but this one feels like we were trying to do something different. Thematically, a sense of disorientation, and the idea of wrestling between family and routine and the life of a touring band seems to run throughout the album. Yeah, yeah. To me, that’s probably what I was speaking about most. The idea that we’re working on making a record, I’m writing these songs and these songs are eventually going to be on an album that’s gonna come out, and we’re gonna have to go away and be on tour for a long time… Having a family now, that’s something that was definitely weighing on me heavily, so it came through in the lyrics, for sure. It’s still something I’m dealing with, now that I’m actually living it. I mean, I definitely tried to set a hard rule of us never being away [on tour] for more than two weeks at a time, and trying to be home for at least two weeks between tours, but that is hard to stick to. I think the next three tours that we’re on are all closer to three weeks than two weeks, and between the tour we’re on right now and the next tour I think we only have a week off, so my rule went right out the window. (Laughs) But we’re gonna try and stick to it more in the future I guess. Tell us about the decision to work with producer Cole M.G. N.
We were thinking about a lot of different producers and then once his name came up we all stopped and realized he would be perfect. Also, he’s somebody who’s a little closer in age to us than people we’ve worked with in the past. That made a difference to me because that made me feel like he was almost another member of the band. And I think he played a little more of a traditional producer role in terms of really having input to the arrangements and the structure of the songs. I mean, this is now like the third album we’ve made as Real Estate in a real studio, so that process to me has gotten a little more familiar. I think maybe on previous albums I’ve felt this weight, but and I was just feeling a little bit less pressure. And I was consciously a little less precious about the process, which ended up being a really positive thing; because I wasn’t laboring over every decision, there’s a lot going on on the album that is still surprising to me when I hear it, and it’s exciting to me. How have your motivations for making music changed in the nine years since you started Real Estate? I mean, the difference between making this album and making our first record is huge, because when we were making our first album we were just recording songs for the fun of it and had no idea if there was even gonna be an album. We were lucky enough to get some attention, and then the first record was pretty much a compilation of songs that we had recorded over the course of a year. You do sound really rejuvenated. Is the dynamic good in Real Estate at the moment? Definitely. That’s been a feeling I’ve had since I started the whole process of working on this record; it just felt really positive. We had a lot of fun making the album.